János is the International Operations Manager of QULTO. He has nine years of experience in leadership and project management of software implementations in cultural institutions. QULTO is a dedicated technology partner of museums in Hungary, Poland and Romania. 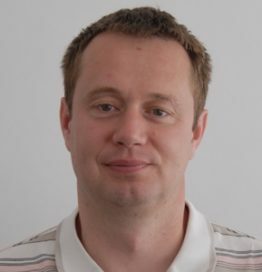 János has a BA level degree in Civil Engineering and Quality Management programme and a Master’s level as economist at the University of Szeged. QULTO has years of experience in sharing online collections. These projects include a social portal showcasing the collections of the museums of Lesser Poland that aims to guide potential visitors through the diverse collections the members offer. A similar aggregator dubbed MuseuMAP is in operation in Hungary that builds on technologies developed by QULTO. We have also built a platform for shared digitization efforts in Hungary and Romania. During the workshop, I would like to highlight the benefits of good quality cultural data and how maintained and enriched datasets assist different workflows in a museum. Use-cases from projects and new ideas related to the topic will be presented and discussed with the attendees.